(Rome, 11 March 2019) Eleven partners from Sweden, Spain, Italy, Syria and Lebanon were hosted by MUBS in Beirut from 28/2/2019 to 2/3/2019 for the Kick-Off meeting of the Erasmus+ project “Innovative digital Skills & Teaching Methods for Effective Health Education in Lebanon & Syria – DIGIHEALTH”. 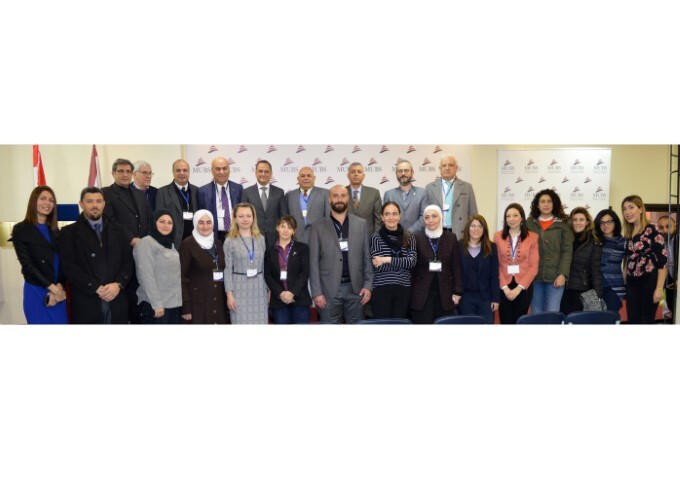 Coordinated by Linnaeus University (Sweden), the project aims at promoting excellence and enhancing the teaching and learning approaches in health education in Lebanon and Syria. In addition to the project partners, the opening was attended by Dr. Abdel Mawla Chehabeddine representing the Lebanese Ministry of Education & Higher Education, Dr. Amer Helwani representing the National Erasmus+ Office in Lebanon, Dr. Hatem Alamy Chairman of MUBS Board of Trustees, and Dr. Ali Cheaib MUBS President. During the meeting, the Partners had the opportunity to introduce themselves and get to know each other in more depth. After the presentations, space was devoted to a general overview of DIGIHEALTH, with the explanation of the the main activities envisaged in the project, in order to improve the understanding of the project partners and make them know exactly the roles and the distribution of the tasks.